I recently resigned from my full-time work to give way to my full-time work-at-home, mommy and wifey duties, and to my blogging. It's only been 2 days since the effectivity of my last day but I already received tons of blogger deals and I've been signing contracts non-stops! I thank the universe for all these! So, in celebration of me leaving my 8 - hour job into a more fun, exciting, and rewarding life. 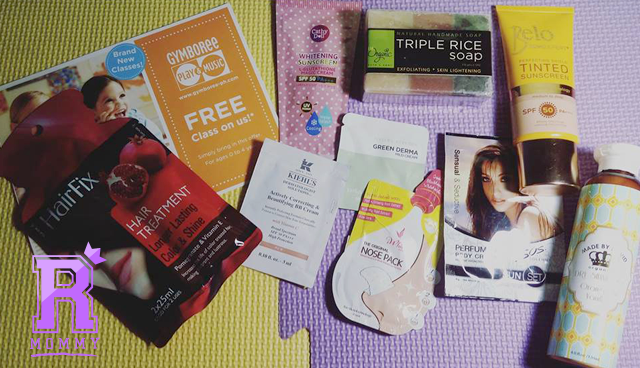 I am hosting a "Me time, This time" Giveaway! - Basically, this is a small Mommy Kit where you can take care of yourself while you are at home, and while the baby is sleeping. *I'm including other surprises too! 1. Giveaway is open to Metro Manila and Provincial residences. 2. Shipping fee will be shouldered by yours truly via XEND. 3. Giveaway ends on August 19, 2016 (Friday). 4. Announcement of winners on August 19, 2016 (evening) via random.org. 5. Giveaway is open to MOMS only. "Why do you need your ME time?" 5. You can share this blog post as many as you like. That's it! Spread the word! 16 comments on "Me Time, This Time Giveaway!" OMG! Can't wait to have those prizes and other surprises! Really Thankful from you Papa God and from you of course Ma'am Joarra Torres Galang! I love your Blog! Really helps a lot of Mommies like me! Even though I'm a single mother, I enjoy life because of my 2 little angels, they're my Luck and inspirations to keep going on in life. Thank you so much!! !